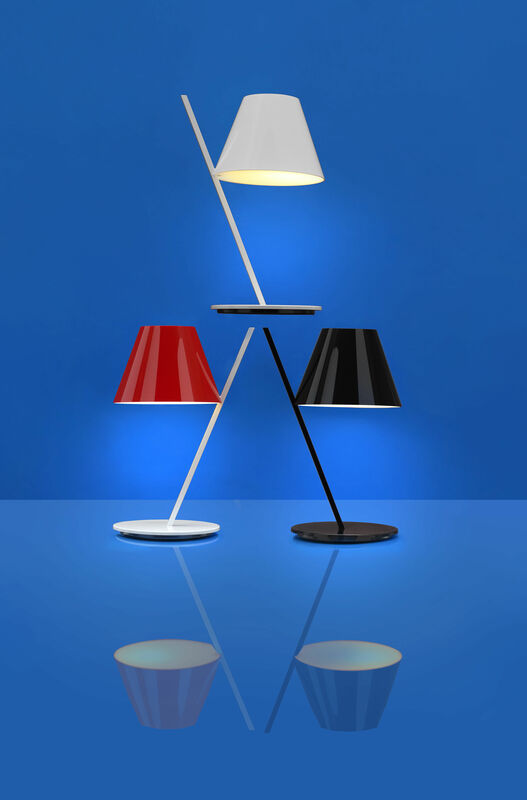 An archetypal lampshade balanced on a tilted stem. 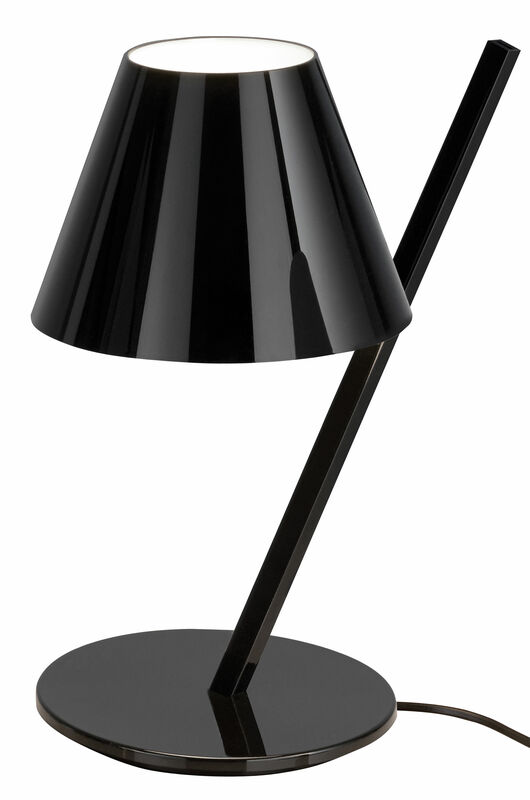 Simple elements, exquisitely combined into an amazing geometric composition, recall basic forms matched with different materials for technological reasons. 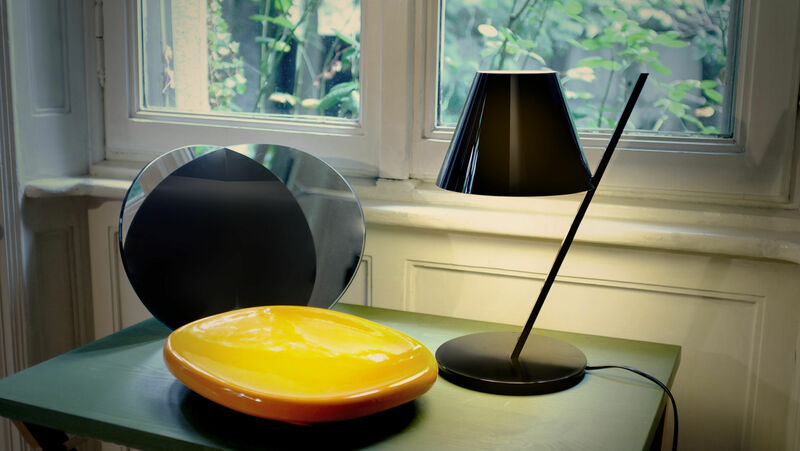 Despite its plain and simple look, this lamp clearly conveys the skills of Artemide.The lampshade is a lightweight plastic volume closed by two diffusers that produce a pleasant soft direct and indirect light. 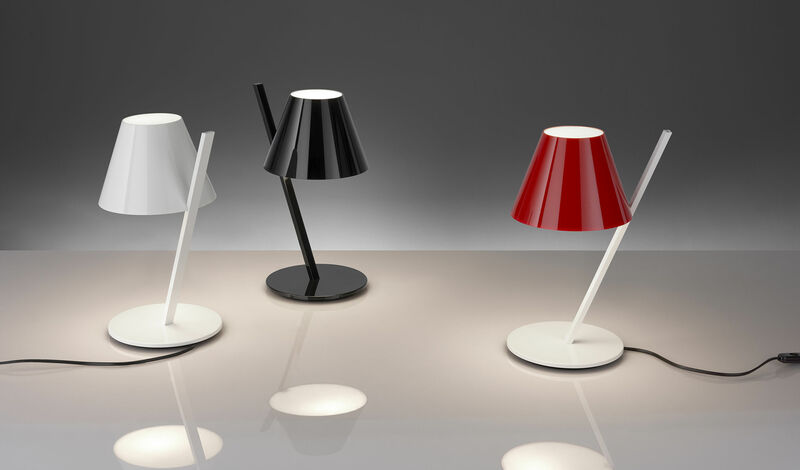 The joint connects the lampshade with the aluminium stem on a minimal support. These simple elements are combined into a plain and elegant object, where the tilted stem in counterbalancedby the lampshade's volume.